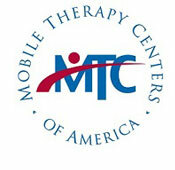 Mobile Therapy Centers’ team of qualified therapists easily allow for flexible scheduling options to make up any missed sessions and to offer additional practice generalizing skills both on-site and at our office locations. Quality family time is important in the development of all healthy relationships. Mobile Therapy Centers’ convenient and flexible service model ensures that our clients’ nights are filled with family time as well as time for other interests. Is your child sick, scheduled for a fun class party? Not a problem! Mobile Therapy Centers’ onsite therapists are in consistent communication with families and school/childcare center staff and can adjust their schedules. We regularly communicate with classroom teachers to work around the academic curriculum and napping schedules. Mobile Therapy Centers is available to provide free consultations, as well as, developmental screenings at child cares and private schools. ABA Therapy, Speech/Language Therapy, Occupational Therapy and Behavioral Therapy services are provided onsite during your child’s regular day at school and in his/her childcare setting. In-home and work place services are available based on therapist availability so please contact the Mobile Therapy Centers Office for further information. Mobile Therapy Centers has a main office in Libertyville, IL, where licensed, professional therapists provide services to children, adolescents, adults and families. The professional staff includes ABA Therapists, Speech/Language Pathologists, Occupational Therapists and Behavioral Therapists. Libertyville to far? Ask us about our other office in Schaumburg, IL.